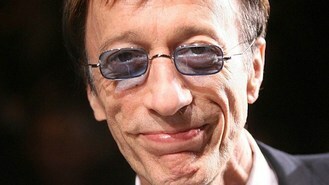 Bee Gees star Robin Gibb has spoken of his "spectacular" cancer recovery - and said: "I feel fantastic." The star, who has looked increasingly gaunt in recent months due to the illness and a bowel condition, said he had now begun to put on weight. There had been reports that the singer, who has been behind dozens of chart hits, had been close to death after being diagnosed with colon cancer. But he told BBC Radio 2 host Steve Wright he feels better than he has for a decade. "The prognosis is that it's almost gone and I feel fantastic and really from now on it's just what they could describe as a 'mopping-up' operation," he said. He suggested that reports about his health had been conjecture. "I mean the fact is, I've never spoken to anybody about my condition or the condition that I was in and a lot of them go over the top to the point where they're telling me things that I didn't even know about myself." Robin has had repeated health problems due to a twisted bowel, a condition that led to the death of his twin brother Maurice nine years ago, at the age of 53. But after several periods of ill health, he was also found to be suffering colon cancer. Robin, 62, said his bounce-back had amazed medical staff who have been treating him. He said: "Well, it's all simple. I was diagnosed with a growth in my colon. It was removed. And I've been treated for that by a brilliant doctor, and in their own words 'the results have been spectacular'."